The CSU, under the leadership of Horst Seehofer, continues to push away from the migrant policies of their coalition allies the Christian Democratic Union (CDU) led by Chancellor Merkel. A new report, written largely in response to the Berlin Christmas Market massacre which was carried out by a Tunisian asylum seeker, calls for stricter asylum and migrant policies,. Among the proposals are the ability to send rescued boats in the Mediterranean back to Africa, reports Tagesschau. The report, entitled “Security for our Freedom” contains a list of demands by the party which has become increasingly hard line on mass migration over the course of the past year. The CSU wants to see more protection for police officers, expansion of video surveillance, and stricter policies for the deportation of migrants who are considered vulnerable. 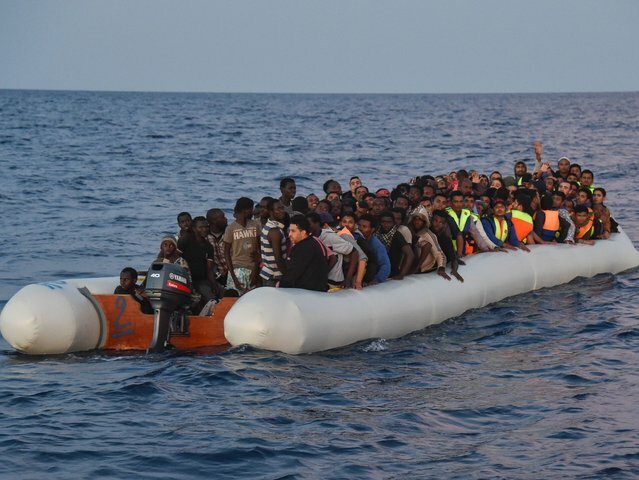 The largest and most controversial demand is to send rescued boats back to their countries of origin in Africa rather than the current policy which is to bring them to Italy or Greece. Italy has seen a record number of migrants arrive across the sea this year and a record number dying during the journey. The CSU has said that Germany and the European Union (EU) need to forge better ties with North African countries in order to get them to take back their nationals and resettle them in Africa. The idea to process legitimate refugees in North Africa is not new. Austrian Foreign Minister Sebastian Kurz and former Freedom Party (FPÖ) presidential candidate Norbert Hofer have both expressed a desire to follow in the footsteps of Australia who turn back boats and hold migrants on islands off the coast of the country. Foreign Minister Kurz has taken the policy further this week, saying that there should be real consequences for countries that refuse to take back their nationals. Germany, in particular, has faced opposition from North African countries who make specific and costly demands to take back their citizens. Kurz has said that uncooperative African countries should be sanctioned for not accepting the return of migrants and that the EU should limit the amount of foreign aid sent to them. “Many of the countries have no interest in taking back their citizens,” he said.